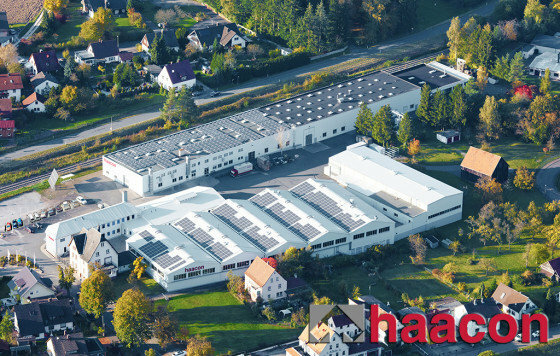 haacon hebetechnik gmbh, headquartered in Freudenberg am Main, is a manufacturer of special solutions in lifting technology. Business areas are Industrial Lifting Technology, Commercial Vehicle Technology and Lifting Systems. From a technical point of view, haacon develops hoists whose power transmission is carried out by means of a spindle, gear rack or rope. haacon concentrates on the business units General Lifting Technology, Commercial Vehicle Components and Lifting Systems in the B2B sector. The commercial vehicle components are mainly used by manufacturers of trailers and trailers (semi-trailers, construction and special vehicles). Specialised "mobile" hoists for containers are mainly used in the logistics of the armed forces and emergency forces (e. g. Technical Relief Agency, fire brigade, police). They guarantee self-sufficient operation with little or no existing infrastructure.